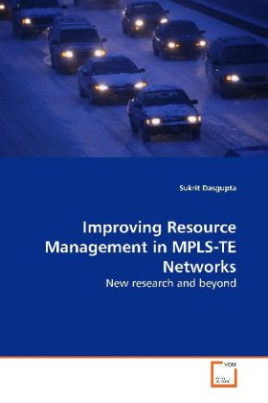 Multi-Protocol Label Switched (MPLS) based Traffic§Engineering (TE) §is a common and effective resource management option§deployed §by several service providers to tackle the explosive§growth in traffic §volume.This book discusses new MPLS based TE mechanisms §capable of dealing with traffic changes while§illustrating the analysis §and performance metrics that are involved in§designing one. §§Specifically, new techniques for dynamic bandwidth§allocation and §routing are proposed and developed through§simulations under §failure and non-failure scenarios. Issues related to§inter-domain §deployment are also studied. §§With the emergence of numerous successful open source§efforts §that provide routing and forwarding services coupled§with §decreasing hardware costs, it is easier than before§to build testbeds §with specific goals. Design principles of an§Application Programming §Interface (API) for a platform that will allow TE§experimentation is §discussed. Sample experiments on a prototype are§illustrated for §motivating the development of open architectures that§will allow §performance analysis of custom TE techniques on§commercial §equipment.